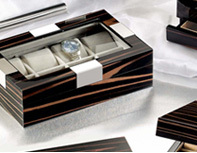 C & S International Development Ltd. specializes in manufacturing all kinds of wooden boxes, cases and wooden gift items. With our production lines base in DongGuan, we offer customers a full range of stylish and modern packaging boxes for all occasions and purposes. Since our establishment in 2001, we have gained supports from buyers all over the world including North & South Americas, Europe, Middle East, China and Asia. 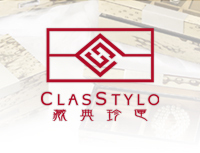 Our trade mark , the in-house collections of Jewel Boxes, Jewel Chests, Watch Cases, Watch Winders, Humidors, Wine Boxes, Photo Frames, etc. is the assurance of high quality, unique design and innovation. Customized designs and OEM projects are welcome. You can register as our member and browse our e-catalogue on the web site. Please click Member's Area, fill in the registration form and email to us. You will be informed of your Login ID and Password by email.